The PlayStation 2 Vector Interface Unit (VIF) is a pathway between the main memory and the Graphics synthesizer, one of its main functions is to unpack scalar data into vector data (i.e. converting 3 32-bits scalars into 3 128-bit vectors). 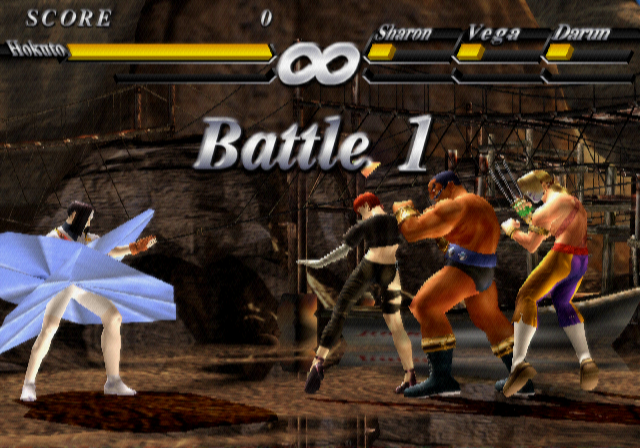 PCSX2 uses dynamic recompilation to emulate the VIF unpacking functions. The recompiled code is cached using a hash map to prevent unnecessary code recompilation. Recently, the code was profiled to identify potential bottlenecks. This identified an issue in the hash map lookup code. Each hash map entry has 16 contiguous bytes, consisting of a 12 byte key that holds the unpacking parameters and a 4 byte value that contains the recompiled code address. The hash map key was built with 1/2/4 byte store operations and was subsequently read back during the hash lookup with a 16-byte vector read operation. This prevented store to load forwarding, where a load operation can avoid accessing data through memory and can obtain data from a previous store operation instead, and caused the CPU to stall unnecessarily since all the store operations had to be completed before the vector readback operation could execute. The hash map key generation and lookup code was rewritten to enable store to load forwarding and to improve portability. This provides a 2-3X improvement on the hash lookup speed and translates to a small FPS increase. The CFC2 instruction is used to transfer 32-bit integer data from the COP2 control registers to the General Purpose Registers (GPRs) of the Emotion Engine. It was recently noticed that a special behavior occurs when the CFC2 instruction transfers data from the TPC register, which contains the Program Counter (PC) the VU0 micro subroutine was stopped at. The CFC2 instruction transfers the TPC data to the t4 register. The CTC2 instruction subsequently transfers the data to the CMSAR0 register, which holds the starting address of the VU0 micro subroutine divided by 8. The VCALLMSR instruction then starts the micro subroutine at the address specified by the CMSAR0 register. This sequence did not work on PCSX2 because the CMSAR0 register requires an address divided by 8, yet the address transferred from the TPC register to the CMSAR0 register was not divided by 8. This sequence, however, worked perfectly fine on the PS2. It may surprise many that for such a comprehensive PS2 emulator we did not display On-screen Display (OSD) messages relating to information such as save/load states or frame-rate information. Maxxus started work in July 2016 maintaining committed all the way to the final merge of this feature early January working through design options, fonts, compatibility and stamping out bugs. As Maxxus is a Linux only user, the OSD did not yet have a UI on Windows. FlatOut later added this along with some minor improvements. Another consequence of Maxxus not being a Windows user is that the OSD is currently not available for the Direct3D renderers. Only the OpenGL renderers are supported for now. The OSD consists of 2 functions, the "Log" and the "Monitor". The "Log", enabled by default, prints the console log messages returned by several keys(F1-F3 Save States, F4/Tab Framelimiter) on screen. And "Monitor", disabled by default, prints the current Framerate and EE/GS/VU percentages on screen. The OSD settings can be configured in the OSD Configuration dialog located on the GSdx plugin settings. Textures are stored in the GS memory, which is split into 512 pages. For each memory page, the GSdx texture cache manages a list of addresses of textures present on the page. Textures may span across multiple pages, which makes efficient list management difficult. When a texture is added to the cache, only the lists of pages affected by the textures must be updated, but when a texture is removed from the cache, all of the lists may need to be searched to remove all references to the texture, which can be quite slow. The texture cache was modified so that the page indices and addresses of list elements related to a texture are stored with the texture data. Although this requires more memory, it also makes it unnecessary to search through all the lists to remove all references to the texture data, which speeds up texture deletion. After switching to using Visual Studio 2015 on the buildbot to compile PCSX2, some Windows Skylake users started reporting significant performance issues when using the software renderer. Although it was diagnosed as a threading issue, the issue was left unfixed for a long time since the cause was unknown and none of the developers could reproduce the issue. It turns out the performance issue was caused by excessive cacheline contention. For each worker thread, there were two atomic variables present on the same cacheline that were shared by both the GS and worker threads. Both the GS and worker threads would access and modify at least one of the variables on this cacheline, which resulted in false sharing and caused terrible performance. The software renderer threading behavior was improved by removing some unnecessary atomic operations. As a side effect, it eliminated one of the variables involved in the false sharing and fixed the Windows Skylake CPU issue. The software renderer workload can be divided between multiple threads. This workload division should not cause rendering issues. However, on the game "Blood Will Tell", random graphical glitches were present when multiple threads were used, which indicated that there was a race condition in the code. Finding out why a race condition occurs can be difficult. The nature of the bug, however, provided a hint to where the issue laid - it only affected a grayscale post-processing effect, which is a complex channel shuffle effect. Noticing this, Gregory analyzed the related draw calls and discovered that thread synchronization was performed when a frame buffer was used as a texture, but not the other way round. This led to a race condition where a draw call could write to a texture before it is read by the previous draw call. The thread synchronization logic was updated to account for this scenario, which fixed the graphical glitches. Two fixes have recently been made to the software renderer's float handling mechanism, improving its accuracy. The first fix replaced the reciprocal instructions in the rasterizer with division instructions. Although a division instruction is much slower than a reciprocal instruction, it also has a much higher precision, which helps avoid accuracy issues. This fixed the texture sampling issues which were observed in Xenosaga Episode 1 and Jak 3. The second fix reworked the STQ texture coordinate handling to avoid floating point underflow/overflow issues. Before the fix, the texture coordinates were always calculated as (S × width × (1 / Q), T × height × (1 / Q)). However, the STQ values are sometimes near/equal to the maximum floating point value, which could cause zero (1 / Q), infinity (S × width, T × height), and NaN (0 × infinity) to be generated. Now, whenever huge STQ values are detected, the code calculates the texture coordinates as ((S/Q) × width, (T/Q) × height), which is slower but avoids the underflow/overflow issues. This fixed the major texture issues in Galerians: Ash and Let's make a J-League Pro Soccer Club '04. The use of instruction sets available on newer CPUs can significantly boost performance at the cost of compatibility with older CPUs. For this reason, 5 different builds of GSdx (SSE2, SSSE3, SSE4.1, AVX, AVX2) were provided to maximize performance on newer CPUs, yet retain compatibility with older CPUs. This, however, confused new users, who didn't know what version of the plugin they should select. The software renderer JIT was recently updated so that, except for the AVX2 build, it will detect and generate code using instruction sets up to AVX at runtime, depending on what the CPU supports. This change provided an opportunity to reduce the number of GSdx builds. Since the hardware renderer performance of the SSSE3 and AVX builds were no better than the SSE2 and SSE4.1 builds respectively, the decision was made to drop the SSSE3 and AVX builds. SSE2 - compatible with almost all CPUs. SSE4.1 - compatible with most CPUs (requires Intel Penryn / AMD Bulldozer or newer). Faster hardware renderer performance. AVX2 - least compatible (requires Intel Haswell / AMD Ryzen or newer). Fastest hardware and software renderer performance. The OpenGL renderer uses both separate shader objects and dual source blending. This combination, however, causes rendering issues with AMD drivers on Windows. Eventually a new driver was released by AMD and that fixed the broken rendering. Unfortunately, the driver introduced a new regression which could cause the system to crash. One of the succeeding drivers managed to fix the crash issue, though however, it introduced the rendering issue back once again. To avoid having to deal with this, separate shader objects will now be disabled when the OpenGL renderer is used with a closed source AMD driver, regardless of the operating system. We're hoping future AMD drivers will be better, but we've been waiting for quite a long time. LilyPad now supports the neGcon analog controller, which can be used for several PS1 and even PS2 titles like the Ridge Racer and Ace Combat series. The key advantage of supporting this controller is that it allows for analog controls in PS1 games that were released before the introduction of the DualShock controller, and its analog throttle and brake buttons are ideal for use in combination with a steering wheel controller. Several new options have been added to the LilyPad user interface. The most notable is the addition of a Quick Setup button on the Pad tabs. This button allows for quickly setting up all the default pad buttons one after the other without having to click on and assign each button individually. A text box next to this option has also been added to give visual feedback of the binding process, showing which button to press and if the binding has finished. Another new option is Exclude Input. This option allows for deactivating a specific input on your device, so that it will be ignored when trying to bind other inputs. This can be helpful when binding controls for a device with an input that's difficult to center like an accelerator, or just always active like a faulty button or analog stick. The L3 Toggles Turbo hack, which triggered Turbo mode (200% speed) in PCSX2, has been removed. It has been replaced by a new Turbo button in the Special Inputs section of the Pad tabs. This new Turbo button still fulfills the same function as the old Turbo hack, but it can be assigned to any input the user desires instead of just the L3 button which the hack used. Last but not least is the introduction of a Restore Defaults button on the general tab. This option makes it possible to reset all current LilyPad setings and bindings to those of the default Lilypad settings file without having to go to the inis folder and manually removing the file. Detection of analog and pressure sensitive controls has been improved. Previously, some games like Driving Emotion Type-S didn't enable analog and/or pressure sensitive mode because a check for analog support only returned the correct values when the controller was already in analog mode, making the affected games believe only digital controls were available. The Use analog mode if possible option has been extended to work for PS2 games and PS1 games running in PCSX2. Additionally a warning will now be printed in the PCSX2 console log if no controls are bound to an active device, and when a device has subsequently been connected or setup. And finally a long standing bug that blocked the F4 button (hotkey for disabling framelimiter) has been traced to LilyPad. A function that checked if the alt button was being held down did not get reset if the alt button was still being held down while the process lost focus. The issue was usually triggered by using alt-tab to focus on another application. The bug has now been resolved, which means the F4 button will no longer suddenly stop working.